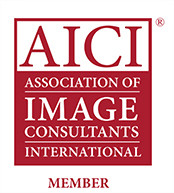 It’s that time again to shift our attention to what’s new in the world of color! Thanks to Pantone, who recently revealed the 2019 Color of the Year, we can take a peek at what’s up and coming and what to look for to freshen up both our wardrobes and home environments. Ready? Steady? Drum roll, please! What comes to your mind when you look at it? Straight away I go to the tropics…warm breezes, vibrant coral reefs, happily painted toe nails in the white sands and laughter. Lots of laughter. And freshly squeezed camu camu juice – an intensely refreshing and delicious tropical juice introduced to me in the Peruvian Amazon. 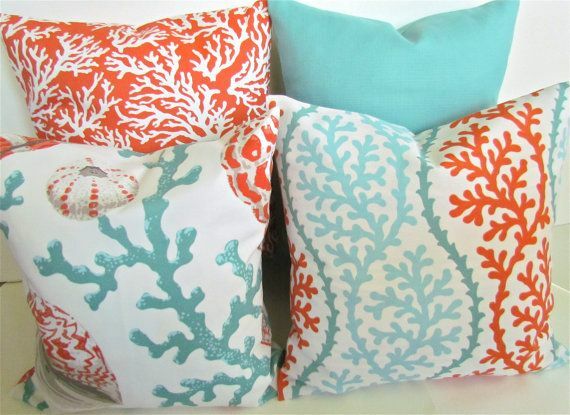 I’m quite tickled with Pantone as I indulged in coral throw pillows last year for my living room…ahead of my time? 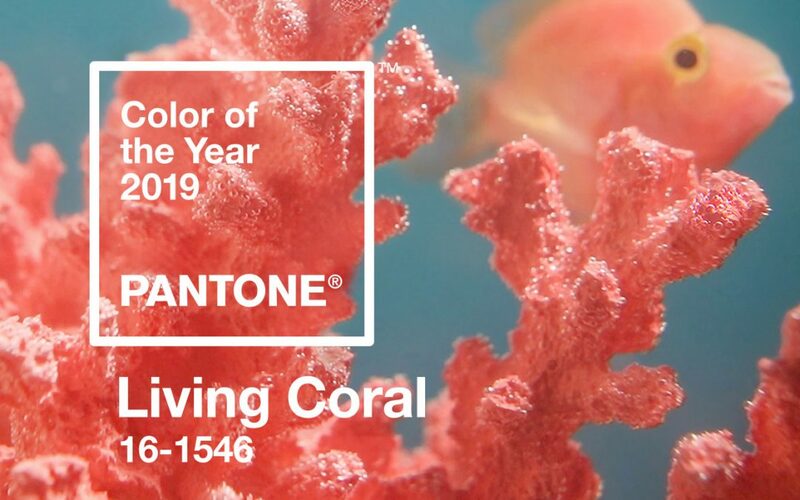 Well, I’m not sure about that, but I can verify Pantone’s point of Living Coral being a joyful color. 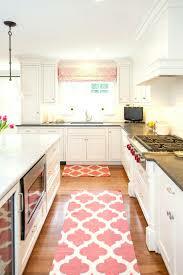 I chose it because it struck me as a happy and vibrant while adding immediate warmth and “lift” to the room. It compliments beautifully with my obsession for soft gray tones and a bit of teal to round it off. For very little investment, why not translate that effect to your wardrobe and accessories too? See where I was going with the whole tropical beach scene? Playful, light hearted and joyful. All those work for me at the beach – you? 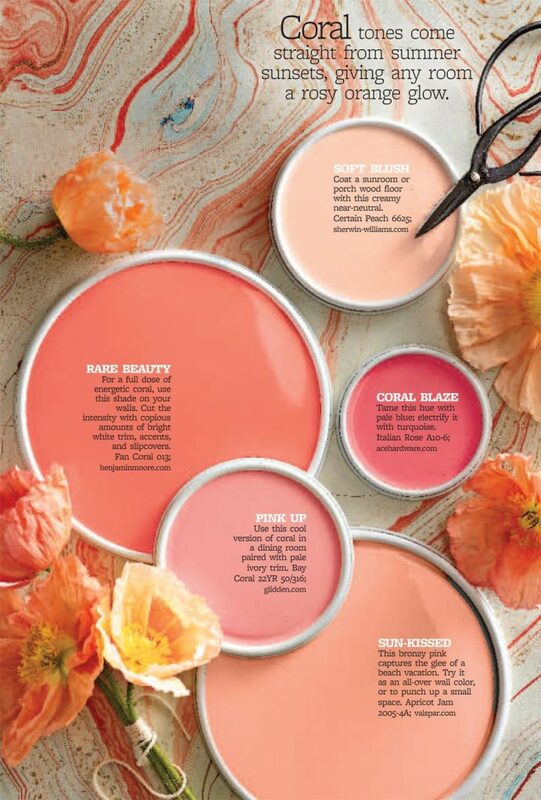 I found this great photo featuring different shades and tones of coral paints. I thought it was a terrific example of how coral can accommodate all skin tones and contrast levels by easily transforming itself. It veers towards cool if a bit of red added, towards warm if more orange based, soft if muted with white or gray or intense if infused with black. A very versatile color – dive in (beach theme continues!) and add some to your wardrobe whether a bold statement via pants or more subtle approach via accessories like a scarf, earrings or lipstick. Stick with your correct undertone, warm or cool, and your appropriate intensity (soft or bold) and set out for some coral fun! 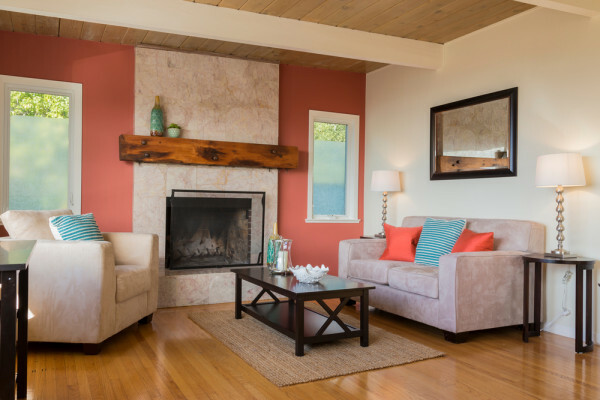 Whether you go all out and paint an accent wall, experiment cautiously with some accent pillows or throw rugs, or your coral joy is for your eyes only via bed sheets, give Living Coral a whirl and see if you have an extra pep in your step!